There are plenty of trekking options when it comes to trekking in the Everest Base Camp region. One of the most scenic and rewarding of these treks is the Everest Base Camp trek with Cho La pass. During the Everest Base Camp trek with Cho La pass, you will go to some of the most scenic places in the Everest region like Gokyo, Cho La pass, Everest Base Camp as well as Kala Patthar. So the trip will take you to all these wonderful vantage points for some excellent views of the Himalayas here as well as some mesmeric sunrise. Cho La pass is a mountain pass located in the Everest region that stands 5420 meters tall. Panoramic view of the mountains will delight you when you ascend the Cho La pass. However, getting to Cho La pass can be quite difficult as you may require shoes with crampons due to the slippery trail there. So you need to prepare physically well for this strenuous trek. Another delightful place you will go to during the Everest Base Camp trek with Cho La pass is the astonishingly beautiful valley of Gokyo. Trekking to the Gokyo lakes is a delight. The Gokyo lakes are the highest freshwater lake system in the world. The Gokyo Lakes are also some of the best places for viewing Mt. Everest. These trail along these lakes take you to Gokyo Ri, a place with a dazzling view of the sunrise amidst the Himalayas of the Everest region like Mt. Pumori, Choyou, Everest, Makalu, Cholatse, Taboche, Amadablam, Nuptse, Lhotse and others. 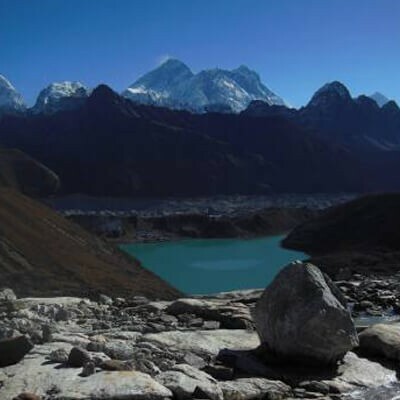 You will cross the Ngozumpa glacier while you get to Cho La pass from Gokyo. Due to the very high altitude of Cho La pass, the weather here is cold almost all year round. The trekking trails to Cho La pass are covered with snow almost all year round. So you should cross the Cho La pass with an experienced guide who will direct you as to how you can trek to this place safely. From Cho La pass, you will head out to the Everest Base Camp. 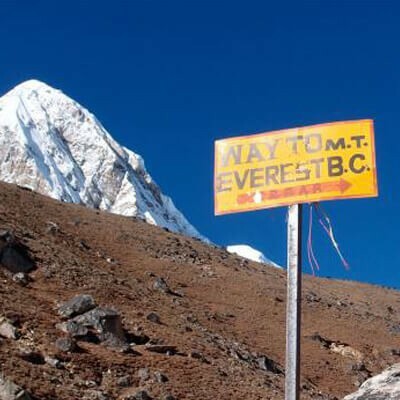 The southern part of the Everest Base Camp is the starting point of the Everest summit. Everest Base Camp is a wonderful place from where you can see the Khumbu glacier and icefall in all its beauty. In addition, you will also go to Kala Patthar in this trek. An early morning hike to Kala Patthar from Gorak Shep will be one of the best hikes you will go to. The morning sun when glints on the mountains gives a golden reflection on Everest leaving most trekkers speechless due to its beauty. 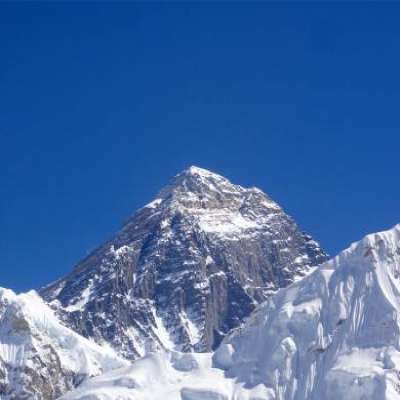 Everest Base Camp trek with Cho La pass is a trek into the astonishing beauty with some legendary places in the Everest region like Gokyo, Cho La pass, Kala Patthar, and Everest Base Camp. It is one of the most scenic treks in Nepal you can imagine. A trek into the wilderness of Sagarmatha National Park. The ascent of Gokyo Ri and a mesmeric sunrise from there. A visit to the highest freshwater lake system in the world- Gokyo Lakes. Beautiful panoramic views from the enthralling Cho La pass. Visit for glorious views of mountains like Everest, Nuptse, Lhotse etc. from Kala Patthar. If you want to see Everest but you do not have enough time or can't walk for long days, we have Everest Base Camp Helicopter Tour. The helicopter will land at different places to explore the Everest region. The representatives from our office will be on standby with our vehicle to receive you at Tribhuvan International airport, Kathmandu. They will also be displaying a signboard that reads “Sublime Trails” outside the airport terminal. They will help you to check in your respective hotel. This will be your first overnight in the ancient city of Kathmandu. This city is a cultural melting pot with many temples to go along with the modern parts as well. So if you have the time or mood during the evening to explore this city, you can visit some parts of this amazing city. You will have your breakfast early in the morning and head out to Tribhuvan International Airport. From the airport, you will leave for a small scenic flight to Lukla. The flight is just 30 minutes long. It will give you a bird’s-eye view of the mountains of the Everest region. This airport is also known as Tenzing Hillary airport and was constructed under the guardianship of Sir Edmund Hillary. Upon arrival, your guide will introduce you to your porter(s). Then, you will head out to Phakding. Phakding is a popular destination for staying a night while trekking in the Everest region. We then begin our trek by descending towards the Dudh Koshi River where we join the main trail to Namche Bazaar, located just above Chaunrikharka at (2713m). The walking is easy and after passing through the small village of Ghat (2550m) it is a short walk to the mountain village of Phakding. The trek is merely 3-4 hours long. The next day’s trek continues along the banks of the Dudh Koshi. You will cross this splendid river many times on exciting suspension bridges. Many of these suspension bridges have prayer flags as a respect to the gods. After trekking for some time, you will enter the Sagarmatha National Park. You will continue along the trails of the national park that has some wonderful forests that are full of various kind of vegetation. You will trek through these forests and reach Namche Bazaar. Namche Bazaar is commonly referred to as the “Gateway to Everest”. It is a great trading hub as well. If you are short on some trekking equipment, you can buy it at Namche. Besides, Tibetan artifacts and Yak cheese are other popular items you can purchase at Namche. You will spend your night at a guesthouse in Namche. Altitude sickness is a possibility for every trekker in the Everest region. 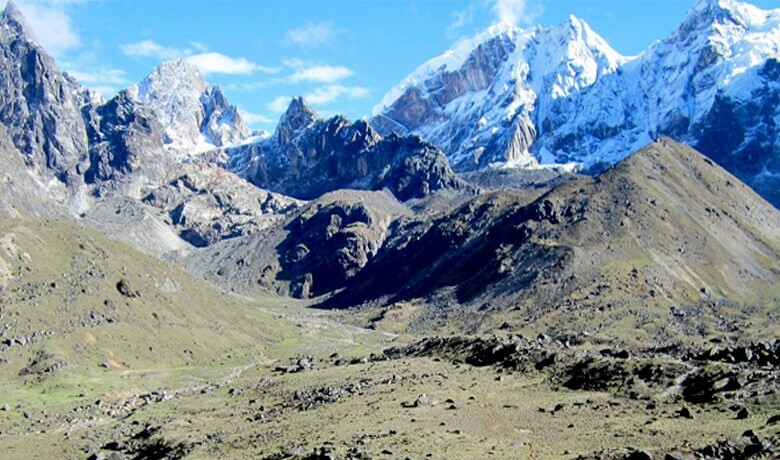 Even the most experienced trekkers and porters might also be affected by altitude sickness. Altitude sickness generally starts to take its toll in altitude greater than 3000 meters. As Namche Bazaar is the first point along your trek which is over 3000 meters, you should spend your time acclimatizing to the climate as well as the decrease in oxygen in such a high altitude. Just because you spend your day acclimatizing doesn’t mean that you have to spend your day idly. You can simply stroll around the markets in Namche or shop for some souvenirs. There are excellent pubs and restaurants whose ambience you can enjoy. You can also stroll around Khumjung village where Hotel Mountain View is located. Hotel Mountain View is located at an altitude of 3962 meters. So while you are on your way to this hotel from Namche, you should be prepared to trek up some steep hills. The Hotel offers a wonderful scenic view of mountains like Everest, Lhotse, Lhotse Shar, Taboche Peak and Ama Dablam. You can also visit the Khumjung Edmund Hillary School and a museum in Khumjung. You will eventually return to Namche, where you will spend the night. The total time for this round tour will take close to 3 hours. 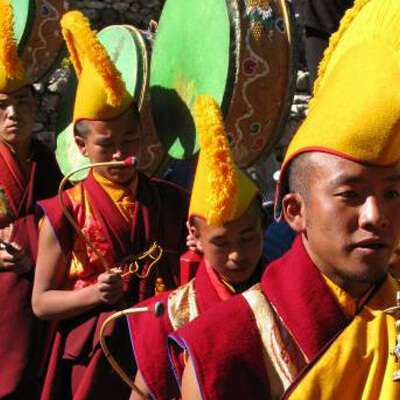 From Namche Bazaar, you will walk amidst pine forests and a vibrant hamlet of Kyangjuma. You will leave EBC Trek route and take left turn uphill trail towards Mongla Hill. The trail then continuously follows the Cho Oyu Mountain at a distance and Cholatse on the right-hand side. Occasional bushes in the narrow trail you take at the hills will offer you stunning walking experience. Dole is at the foothill of tall hills and on banks of stream. Day 06: Trek to Machhermo (4300m)- 4 hours. After breakfast at Dole, you will start to trek up to Machhermo. After 4 hours of the hike, you will reach Machhermo and rest at the lodge after lunch in the afternoon. After breakfast at Machhermo, you will start to trek Gokyo lakes. Gokyo is a beautiful village. Afternoon rest at laodge. After breakfast at Gokyo, you will head out to Thagnak. The journey encompasses a great view of Mt. Cholatse. You have to be a tad careful this day as trekking this day could be very tricky with rocky terrain and moraine walking. The trail is above a glacier and you have to be extremely careful and heed the instructions of your trekking guide. Day 09: Trek to Thagnak (4650m) via Gokyo village which takes about 6-7 hours. Day 10: Trek from Thagnak to Cho-la Pass (5,420m.) - Lobuche (4,950m.) 8-9 hours trek. You will experience the most daunting and enthralling experience of the entire trek this day. You will be at the top of the spectacular high pass of Chola. The panoramic view of mountains and majestic landscape will be a delight for trekkers to enjoy. You will be exuberant as you cross Chola and reach Lobuche for the hike to Everest Base Camp. Day 11: Lobuche to Everest Base Camp (5365meters) and back to Gorak Shep (5180meters) 8 hours of journey approx. Day 12: Hiking starts as we gear up for Kala Patthar (5555meters) with the first glimpse of sunrise and trek down to Periche (4200meters) 7 hours of journey. This day will also be a challenging trekking day as you will go to the highest point along the trek- Kala Patthar. It will take you about 2-3 hours to get to Kala Pathar from Gorak Shep. Most trekkers take off early in the morning to catch a glimpse of sunrise from Kala Pathar. The fresh morning rays of the Sun hitting the mountains will be a sight to behold. You will see the most awesome mountain panorama: Everest, the highest point on the planet at 29028 ft, 8848 meters, towers directly ahead. On all sides loom the other giant mountains like Nuptse, Pumori, Chagatse, Lhotse and countless others. After spending time in Kala Patthar, you will descend to Gorak Shep and have your lunch. After lunch, you will further descend to Pheriche, at an altitude of 4300 meters. Day 13: Now our sublime trail heads back to the place where it all started that is Namche Bazar that takes 5:30 hours. From Periche, you will take a slightly different route down to Orsho. You will then head out to Pangboche village. Quite close from here is the oldest monastery in the region which contains what is said to be the scalp and bones of a 'Yeti' or the abominable snowman. Leaving mountains behind us, your descent will take you through Tengboche Monastery at an elevation of 3860 meters before continuing back to the town of Namche Bazaar at 3441 meters. We arrive back to Namche Bazaar in the afternoon. Overnight at Guesthouse. Day 14: Trek Back to Lukla airport (2804meters) 6 hours. Day 15: We head back to Kathmandu with the morning flight and travelers gets to enjoy farewell dinner in the evening. Day 16: Guides you for your final flight departure home or maybe your next destination. All the airport pick up and drove. Kathmandu hotel for 3 nights around 3-star category. Lodge accommodation, Breakfast, lunch, and dinner during the trekking in Himalaya. Flight fare from Kathmandu to Lukla and return to Kathmandu. Well experienced guide, assistance guide and porter for the trekking. National park entrance fees, Times card fee. Necessary Paperwork with the government of Nepal and Tax department. All the Necessary insurance for the sublime crews. All the Necessary Bus, car and jeep Service for the trip. Salary, foods, and accommodation for sublime crews. Emergency evacuation assistance service but the Helicopter or necessary transport and Hospital cost should be paid by clients them shelf or insurance company. All the alcoholic and non-alcoholic drinks and Drinking water during the trip. All the chocolate and dessert items and sweet items. Your Nepal entry visa fee. Tipping for the sublime crews. Extremely caring, friendly and patient ! Ram was extremely caring, friendly and patient. He would go the extra mile to ensure that you are comfortable and safe. We had 2 great treks with him ans cant wait to go back again! We don’t charge any hidden costs to our customers. We write down what charges are included and excluded in our travel packages so that we are transparent about our costs. Further, if you do a comparative analysis of the prices we charge for a trip, you will find that we offer you an extremely fair price for a tour. Safety of the customers who choose to travel with us is given utmost importance to at Sublime Trails. So we design our itineraries in such a way that the trails that you go to are safe. In addition, the crew at Sublime Trails are knowledgeable on basic first-aid safety and carry appropriate medical tools with them. Our crews alway walk the trails together with clients to take care them in all aspects. This ensures that your safety is never compromised with. Traveling in a smaller group helps you achieve a sense of bonding and togetherness with the people you are with. So at Sublime Trails, we encourage traveling in smaller groups so that you get all the safety and comfort in the world and also make great friendships. We, at Sublime Trails, offer you a variety of tours ranging from trekking to sightseeing to adventure sports to cultural and student tours in various parts of Nepal, Tibet, and Bhutan. No matter which part of the world you are traveling to, guides make a wonderful contribution to help you appreciate the beauty as well as the culture of the places you go to. At Sublime Trails, We have knowledgeable, resourceful, friendly, flexible, helpful, hospitable and experienced guides to add richness to your travel. Whenever you go out to travel, you should look for the value you get for the amount of money you invest in. At Sublime Trails, we ensure that every penny you spend while traveling with us gives you a sense that the money is well-spent. With more and more people traveling each year, we try to install the values of responsible travel. We help travelers engage in the language as well the culture of the various places they go to. We also make travel provisions in such a way that it doesn’t interfere with the environmental beauty of the place. If you are a traveler, you will look for an authentic experience of the place you go in. That includes using transportation that is unique to the place, eating food that is native to a land, and immersing yourself in culture of the place too. At Sublime Trails, providing an authentic travel experience is our primary goal. Booking dates are subject to available.